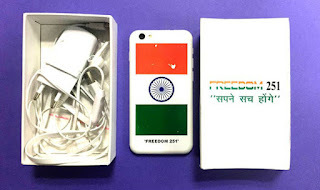 Home close Freedom 251 MDM Electronics Private Limited Ringing bells shut down Ringing Bells Close and Open with "MDM Electronics Private Limited"
Ringing Bells Close and Open with "MDM Electronics Private Limited"
Everyone familiar known about Freedom 251 Ringing Bells – It makes world cost efficient phone manufacturing in India. Now rumors for good news because ringing bells close company and lunching new company named MDM Electronics Private Limited. Now market news most of people says “Ringing Bells” close for long time. This one fake or false because coming new company announcement in future. Freedom 251 company CEO Mohit Goel to handle new company Managing director and Anmol Goel included into new community of MDM Electronics Private Limited. This company register on 7 Dec at Delhi. No any kind of idea company strategies and selling plan but Hope Company more electronic product and smartphone lunch at affordable price in coming soon. Company announces it has delivered 70,000 unit of Freedom 251 mobiles with most Indian state. If you check officially website at time a not working. Open this link http://www.ringingbells.co.in/paymentdue.php. I hope this issue resolve in for a moment. In past most of user registration for Freedom 251 and company promising most unit reach in consumers. Company not only provide cost efficient phone but also Freedom LED TV announcement in Past. Company claims Freedom LED TV cost efficient price compare of other LED TV brands.